Klayman: Trump Went After Lower Level Anti-Trumpers at Fox News! The Most Offensive Anti-Trumpers Are Chris Wallace and Lately Andrew Napolitano! New York (CNN Business)Experts say the back-scratching relationship between President Trump and Fox News is unlike anything in the history of American media. Trump just keeps proving them right. 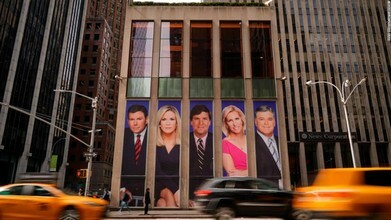 On Sunday he defended two of Fox's right-wing opinion shows and criticized three of the network's news anchors. Most notably of all, he used Twitter to send a long message to Fox executives, urging them to "stay true to the people that got you there."